Apartment for Rent – CD with English narration. 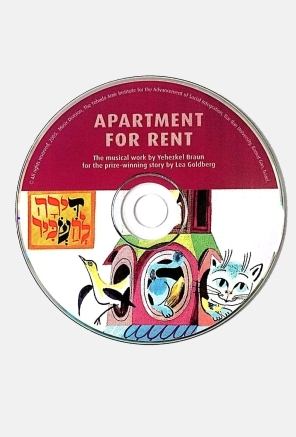 Music by the Israeli composer Yehezkiel Braun for the prize-winning story by Lea Goldberg. The twelve sections of the music are included both with and without narration‚ to promote creative activities and to afford the opportunity for the children to tell the story.